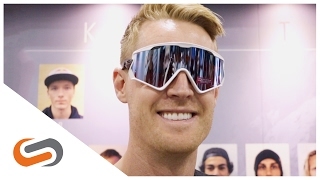 Oakley Wind Jacket 2.0 PRIZM snow goggles are designed for those who seek the best of all worlds on the slopes. These Oakley goggles combine unbeatable function and style features to deliver an all-encompassing frame, built for the slopes and off-mountain activities. Oakley Wind Jacket 2.0 is designed to withstand all the performance aspects of being on the mountain. These Oakley snow frames are built with a removable triple-layer face foam that provides added wind protection, and a removable strap for versatile use. Cater to all your winter needs with a pair of Oakley Wind Jacket 2.0 PRIZM snow goggles.